Those goblins sure do love money, huh? The Warner Bros Studio Tour in London is opening a thrilling new attraction—the Gringotts Wizarding Bank set from the Harry Potter movies! Now you too can experience the wonder of entering through vaulted bank doors and handing your hard-earned coin to greedy, money-grubbing little men with long, crooked noses, receding hairlines and shifty eyes. Okay, when it's written out like that it sounds very anti-Semitic, but don't worry, these aren't Jews. These are goblins. Sure, the goblins' traits sound similar to Nazi-era propaganda, but that's probably because they both play off banking tropes. It's not like they look similar. Oh damn. The Gringotts goblins are totally coded as anti-Semitic Jewish stereotypes. Here's the thing. JK Rowling almost definitely didn't do this intentionally. If anything, the Harry Potter novels are, by and large, anti-fascist in nature. Voldemort is a dictator aiming to eradicate half-blooded wizards—it doesn't get more blatant than that. Rowling also borrowed and pastiched from all sorts of fantasy and folklore while writing Harry Potter, so it's likely that a lot of the goblins' more anti-Semitic features are actually related to older fantasy fare surrounding bankers. 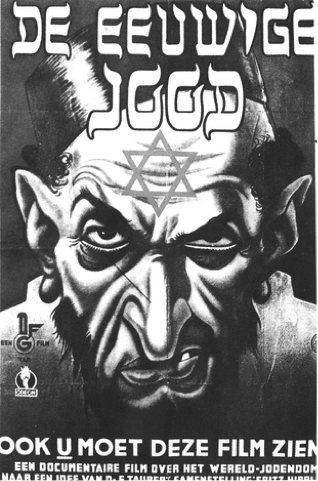 It just so happens that those were probably inspired by anti-Jewish propaganda. Of course, the intention hardly matters. The fact of the matter is that the Gringotts Goblins are absolutely coded as anti-Semitic Jewish stereotypes, propelling an image that has been and continues to be used against Jewish people by supporters of racist and nationalist ideologies. This goes beyond mere physical imagery, too. In Sorcerer's Stone, the caring Hogwarts groundskeeper, Hagrid, who raises monsters as a passion, warns Harry about goblins before he enters Gringotts: "They're goblins, Harry. Clever as they come, goblins, but not the most friendly of beasts." This is especially biting considering the fact that in the world of Harry Potter, goblins are not "beasts," but rather a fully sentient, intelligent race much like humans. In Goblet of Fire, we learn about goblin creditors who hold debts in the highest regard and are willing to pursue a debtor to the end of the earth, taking everything he has if he cannot repay them, as was the case with Ludo Bagman. In Deathly Hallows, Griphook, the only goblin we come to know personally, betrays Harry by turning him over to the Gringotts guards when Harry tries to destroy one of Voldemort's Horcruxes. This happens after Harry saves Griphook's life, showing that goblins have little loyalty outside of that to money. Ultimately, the depiction of goblins in Harry Potter is extremely negative. Not only are they physically repulsive, but they are sneaky, dangerous, and disloyal, caring only about themselves and their money. These traits are identical to the anti-semitic propaganda that's been spread throughout history. Again, none of this is to say that JK Rowling is anti-Semitic or even realized that she was propagating anti-Semitic stereotypes with the Gringotts goblins, although she did actively consult on all of the films (meaning the goblins' appearances definitely made it past her). But therein lies the danger of prolific propaganda like that of the "Greedy Jew." Once evil imagery becomes widespread enough, it practically propagates itself.